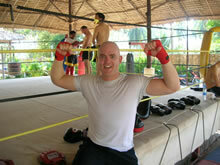 Many of our guests are amateur fighters looking for quality Muay Thai training and accommodation. 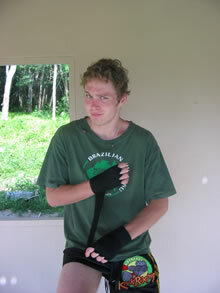 Guests like to train and prepare for a fight or tournament in their home country. Tiger Muay Thai & MMA guests are also qualified professionals training for a spot on a fight team or trying to become ranked in the fight system within their country. 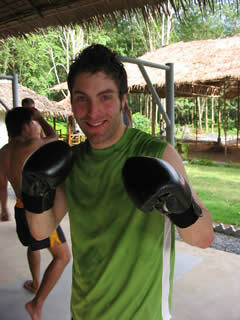 Some guests already have skills like boxing, Karate, Tae Kwon Do, Judo, or Jiu-Jitsu. 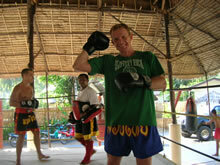 While preparing for a fight, a typical guest will train for 4-6 weeks before climbing into the Thai-boxing ring. Many guests have experience in BJJ and have trained with members of the Gracie Jiu-Jitsu organization in the U.S. and Brazil. Here is a student of Renzo Gracie, Chicago, U.S.A. So many of our guests now have really great skills and have trained with reknowned professions like the Gracie family with many of thier gyms in the U.S. It is great for the program as professionals all work together in a learning environment. That is one of the best things about Team Tiger Muay Thai. Training is fighting….fighting is training. Be an MMA fighter. 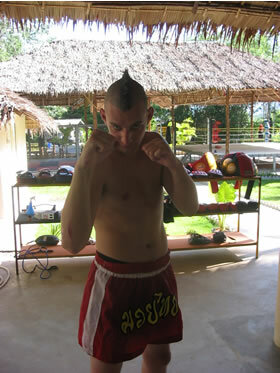 Guests with previous fight experience can get fights in Phuket, Thailand in 3-4 weeks after training at our Muay Thai training camp. Some guests are interested in self-defense or losing weight. 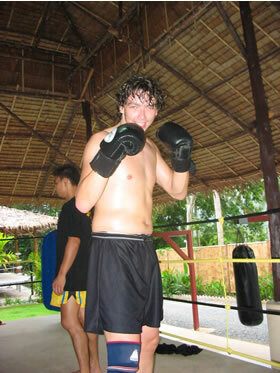 Muay Thai and MMA training is a great way to lose weight and get fit quickly. You will never get bored by working out in a MMA training gym / camp. There are so manyy different exercises and skills in training here that each day is an adventure into fitness and working hard to achieve our fitness goals. Black belt professionals love to work their Muay Thai skills and Judo and Jiu-Jitsu techniques while training at our Muay Thai gym. Students with skills often help other students. A good gym is all about the training atmosphere. 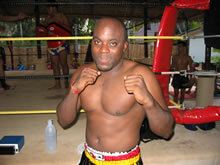 Achieve your goals while training Muay Thai and MMA here in Phuket, Thailand. Great weather, excellent competitive and professional atmosphere, fantastic facilty for training mixed martial art in the heart of Thailand. Muay Thai has traditions that must be held in respect. The Mongkong is removed as words of protection are whispered as it is removed from the fighter’s head before he begins the fight. The spirt of Thailand, Thai culture and history are represented in the long standing respect held for teacher, camp, sport, country and King in the aincemnt land called "Siam." Why is it everyone has a smile on their face. This is a training camp and guests feel the atmosphere of competition and hard training. It feels good to work out, get a sweat, rolling in the cage and sparring in the ring. What they say: "It makes me feel more alive;" "I get a solid rush of adrenaline when I spar. I know I won’t get hurt, I just love the rush." "Feels good to battale about with the other guys…and girls." MMA has become very popular in Europe. 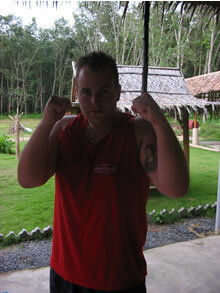 Many of our guests are between 18-24 years old and are interested in learning Mixed Martial Arts in Phuket, Thailand.